Joseph E. Schmitz served as the fifth Senate-confirmed Inspector General of the Department of Defense from April 2002 to September 2005. As such, he was agency head of the most expansive Inspector General organization in the world, with statutory policy oversight responsibility for roughly 60,000 auditors, investigators, inspectors, law enforcement officers, and oversight professionals throughout the Department of Defense. For his service as Inspector General of the Department of Defense, Mr. Schmitz was awarded the Department of Defense Medal for Distinguished Public Service, the highest honorary award presented by the Secretary of Defense to non-career federal employees. Prior to his service as Inspector General of the Department of Defense, Mr. Schmitz was a Partner in the international law firm of Patton Boggs LLP and at the same time a Captain in the United States Naval Reserves, serving as Inspector General of the Naval Reserve Intelligence Command. 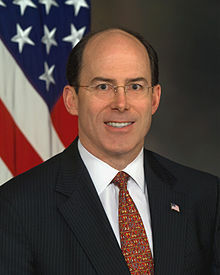 He has extensive experience in overseeing compliance with various international and security-related laws, including but not limited to the Inspector General Act, Intelligence Oversight laws, the Posse Comitatus Act, the Foreign Corrupt Practices Act (FCPA), the International Traffic in Arms Regulations (ITAR), and laws administered by the Office of Foreign Assets Control (OFAC) and the Office to Monitor and Combat Trafficking in Persons. Mr. Schmitz currently serves as CEO of JOSEPH E. SCHMITZ, PLLC, a veteran-owned small business law firm he founded in 2008, the core values of which are Integrity, Transparent Accountability, Disciplined Teamwork, and Independence. From September 2005 through December 2008, Mr. Schmitz served as Chief Operating Officer and General Counsel of the Prince Group in McLean, Virginia. From January 2009 through April 2010 he served as Managing Director in the Washington D.C. Office of Freeh Group International. His pre-Inspector General public service included: twenty-seven years of naval service, first on active duty and then as a reserve officer; law clerk to the Honorable James L. Buckley, Circuit Judge, U.S. Court of Appeals for the D.C. Circuit; and Special Assistant to the Attorney General of the United States, the Honorable Edwin Meese III. Mr. Schmitz has published numerous articles and has testified as a constitutional expert before the U.S. Senate Governmental Affairs and Judiciary Committees. From 1995 until 2002, he was an Adjunct Professor of Law at the Georgetown University Law Center, where he developed and taught a seminar on advanced Constitutional Law. He is an alumnus of the American Council on Germany Young Leaders Program, the Federalist Society for Law and Public Policy Studies, and the International Association of Independent Private Sector Inspectors General. Naval Institute Press is scheduled to publish in the fall of 2012 Mr. Schmitz’ manuscript, “THE INSPECTOR GENERAL HANDBOOK: FRAUD, WASTE, ABUSE, AND OTHER CONSTITUTIONAL ‘ENEMIES, FOREIGN AND DOMESTIC’,” as a professional handbook in the tradition of THE BLUEJACKET’S MANUAL and THE MARINE OFFICER’S GUIDE. This new Inspector General Handbook is designed to be useful both to IG professionals and to other military and corporate leaders who sooner or later will need to work intelligently with an Inspector General. Mr. Schmitz graduated with distinction from the U.S. Naval Academy in 1978, and received his Doctor of Jurisprudence degree from Stanford University in 1986. In September 2010, Mr. Schmitz was selected by the President’s Council on Fitness, Sports & Nutrition as one of twenty-eight nationwide Community Leadership Award Winners for 2010.